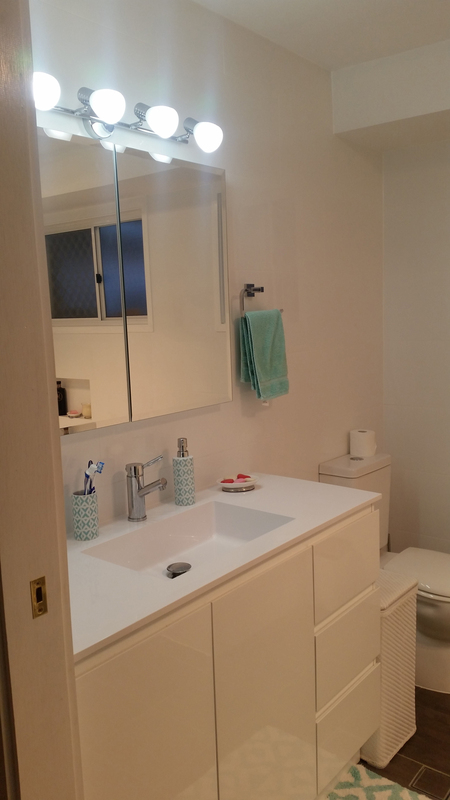 Before the renovation, this place had 3 separate rooms a toilet, bathroom and a vanity/wash area with an archway entry. 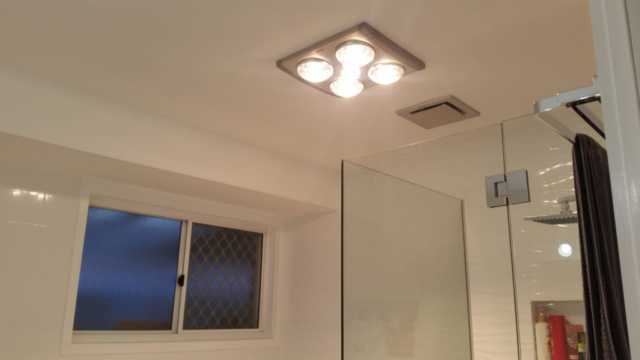 We removed walls supported the ceiling and opened area up to one large bathroom and installed a cavity sliding door. 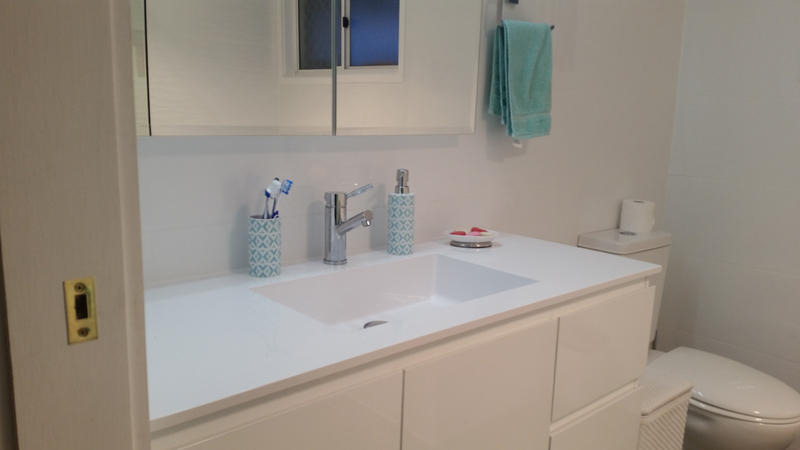 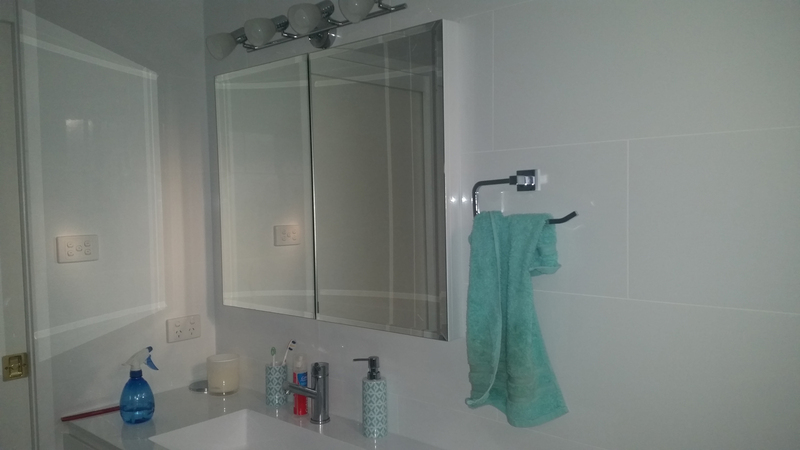 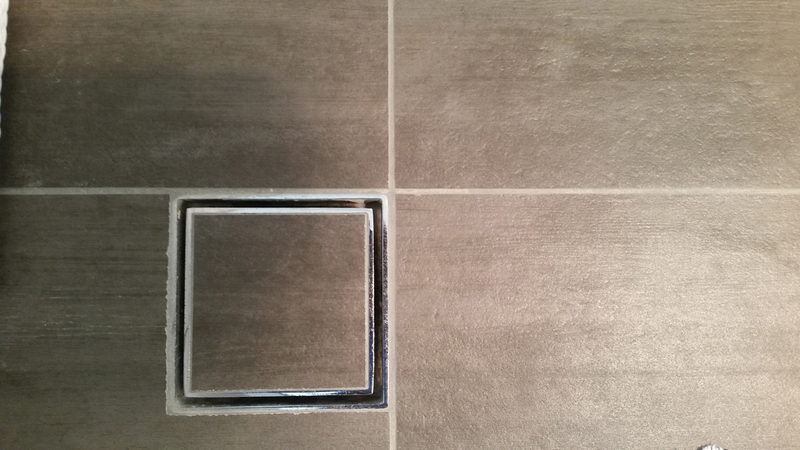 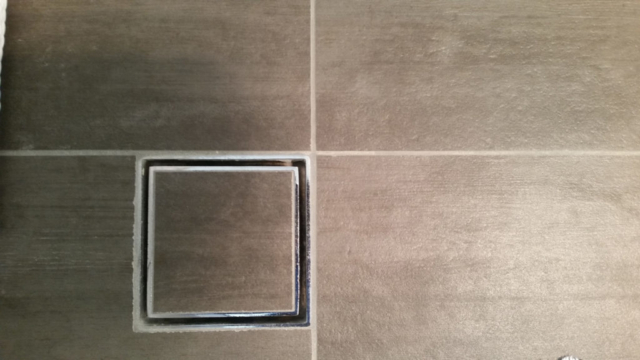 We used 300mm x 600mm rectified gloss white wall tile floor to ceiling with a brick pattern on and a grey 300mm x 300mm floor tile, with a shampoo nook (recessed shelf in wall) at shower and bath area. 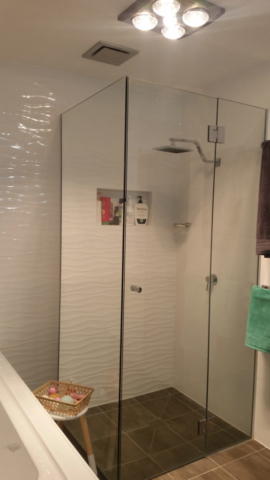 The shower area is frame less glass with hinged door.